Crochet enthusiasts will enjoy the diversity of stitches featured in these beautiful projects, including Tunisian crochet, mesh stitch, and spike stitch, as well as a variety of whimsical floral designs. The ultimate fashion statement, scarves are a seasonless accessory that never go out of style. 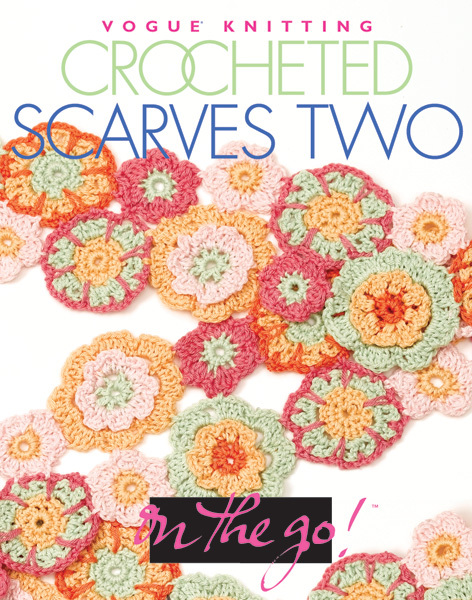 With patterns ranging from beginner to advanced, Crocheted Scarves Two is packed with more than twenty stylish designs that will add a touch of whimsy to any wardrobe. Each of these portable projects comes with easy-to-follow instructions and beautiful photography that will make crocheting on the go a breeze!